Did you know that according to a 2017 CareerBuilder survey, more than 44 percent of employers reported hiring a job candidate because of the content found on a social networking site? The survey also found that employers who hired candidates based upon their online persona did so because the candidate demonstrated their professional qualifications (38 percent), great communication skills (37 percent), professional image (36 percent) and creativity (35 percent). However, that doesn’t mean you should hide or delete your social profiles; in fact, CareerBuilder also determined that 57 percent of employers are less likely to contact a candidate for an interview who is MIA online. Finding a job in this day and age is more than just a polished resume and stellar interview. Just like a politician or a movie star, your personal brand should showcase who you are in a positive way. Sure, it includes how you present yourself in your current work and volunteer activities, but your online presence is an opportunity for you to stand out. With the competition as tough as ever today, hiring managers may start with your cover letter and resume, but they are gathering as much information about you as possible online before bringing you in the door for a conversation. Here’s what you can do to create a personal online brand that increases your career options and demonstrates that you are the best candidate for the job. This is where company recruiters typically start their search, so a robust LinkedIn profile is your chance to make a strong first impression that you control, on your terms. Set up or brush off your profile and outline your professional and volunteer accomplishments. Include work samples, a solid professional headshot and a clever, relevant summary. When you write your profile headline, really think about who you are as a professional, not your current job (if you have one) with terms hiring managers both understand and search for. Meanwhile, keep your profile active by sharing topics and/or links and participating in conversations that show your interest in the work that you do, as it will reflect that you are up-to-date within your chosen industry. Last, but not least, don’t be afraid to ask current or former colleagues to write you a recommendation or endorse your skills. A compelling recommendation can actually influence a recruiter or hiring manager to want to get to know you better! Whether it’s Facebook, Twitter, Instagram, YouTube, Google+, Tumblr or the other thousand social networking sites out there, employers want to see that you exercise good judgment – even when you’re off the clock. Unfortunately, this is the primary reason most people lock down their profile, use a social pseudonym or avoid having social media profiles all together. When it comes to Facebook, while those that aren’t your Facebook friends won’t be able to see everything you post, they can see quite a bit. They can see what you post on public pages and what other people may be posting about you. Think carefully about what you share and with whom you interact. And always check your privacy settings – both at the profile and post level – to keep them at the setting that makes you most comfortable. As for Instagram and Twitter, are the photos you post telling a story you want strangers to see? Are your tweets shaping a picture of you that may not be the one you want a new supervisor to see? At this point, you may be thinking, “Why am I online?” or “What does it matter if I like this sports team or music group?” or even, “What if someone doesn’t understand my humor or political perspective?” To that, I say, don’t eliminate who you are or what you care about. Let your personality shine through. Just make sure to present it in a positive and approachable way that can’t be mistaken as insulting or disrespectful. That includes your grammar, tone and word choice as well as cover photo and profile picture. After all, you never know what might spark a connection or extend the conversation with a potential boss. No matter what, always think before you post. Type in any semblance of your name, as well as your general location, or any identifying details that you might have on your resume. Does anything come up that conflicts with the professional image you are trying to relate? Make sure to check the image and news results, too. If there is something that you do not like, there may be additional steps you need to take to have it removed or taken down. Ultimately, when you have a solid personal brand on social media, you create a strong first impression before you ever walk into that interview room. You can sell yourself as the best candidate for the job with LinkedIn and showcase your amazing personality by maintaining a Facebook, Twitter or Instagram profile that represents the well-spoken, thoughtful conversationalist that you are. Your online persona should help your job search – not hinder it. Once you build a social media presence you can be proud of, you increase your chances of finding a career opportunity that appreciates you for who you are, both personally and professionally. Meg Frantz is the director of Alumni Affairs. For nearly 20 years, she has worked in the marketing departments of nonprofit art organizations and higher education as a project manager and team leader. 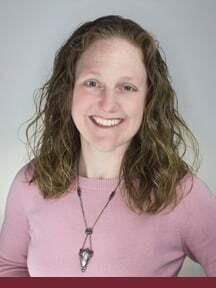 She holds a bachelor’s degree in communications with an emphasis on theatre arts from Susquehanna University. Connect with her via email at mfrantz@tesu.edu.